Karita Mattila gives a tour-de-force performance in the title role of Strauss’s groundbreaking opera, opposite Alfred Dohmen as Jochanaan (John the Baptist), the object of her deadly passion. 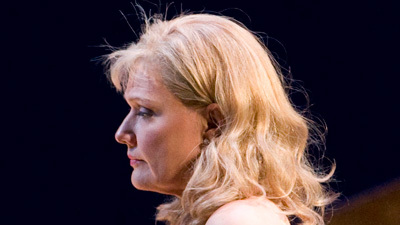 Larissa Diadkova is Herodias, Salome’s mother, and Siegfried Jerusalem sings her husband, King Herod, whose desire for his stepdaughter sets the tragedy in motion. Matthew Polenzani is Narraboth, the captain of the guard, and Valery Gergiev conducts the colorful score that includes the famous Dance of the Seven Veils.